Forty years ago I remember hearing about how one of my neighbors had just become a millionaire. That was back in the 1970’s when being a millionaire really meant something. How did he make his million? This guy didn’t win the lottery and he wasn’t some kind of engineering wizard who just came up with some world changing technology. He sold shoes for a company called Sears. He wasn’t the CEO or anywhere near the top of the organization. He spent his day on the selling floor helping people find the right pair of shoes at one of the one thousand Sears stores. He was just a regular worker bee. The guy was at Sears for over twenty-five years and was regularly investing in the employee stock purchase program. One day he looked at his stock balance and it was over a million dollars. To put this into perspective that would be almost $6 Million in today’s dollars. These days with all the money being generated by hot technology startups a $6 million dollar pay day for a worker bee may be an every week occurrence. The magic formula back in the 1970’s was to work for a company like Sears. This concept seems quaint now. If you weren’t around back in the 1970’s buy your dad a beer one night and ask him to tell you about who the captains of business were back then. Sears was the retail leader with J.C. Penney close behind. 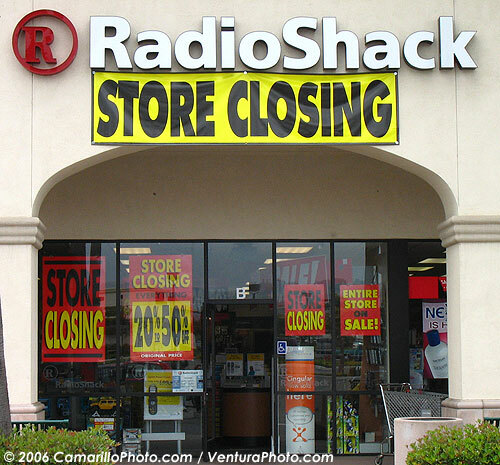 Radio Shack was the hot technology retailer of the day with more store fronts than Sears and they had an electronics hungry free-spending army of customers. But what’s going on with Sears, J.C. Penney, and Radio Shack today? In 2014 Sears is on life support as current management has tried a variety of strategies and financial engineering to keep the company afloat. Sears is not alone. 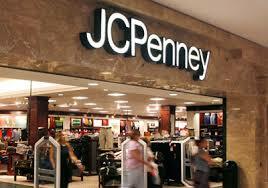 J.C. Penny seems to be on a downward slide also. 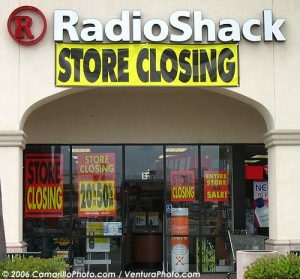 And Radio Shack may not make it past this Holiday season without a significant change to their entire business model including a drastic reduction of personnel and store fronts. Forty years ago all these companies were leaders in their segments. Minting millionaires and appearing to be unstoppable. They were the Googles, UBers and Amazons of their day. Like today’s leading companies they had huge product hungry customer bases,they were flush with cash, they had the best management teams, and the world was theirs… Until it wasn’t! So what can today’s startups learn from these former big business darlings? LESSON 1: Never stop innovating. So you worked real hard getting your first product out to the market. You are probably feeling pretty good. Like you climbed Mount Everest. Well take the afternoon off then get right back to work on your next product. The innovation never stops. And if you don’t have a “head of innovation” then you are not innovating. Your “head of innovation” should have only one job… Making the next generation product for you company before someone else makes it. LESSON 2: Always be ready to obsolete your own business. What usually happens when a company goes on the decline is that another competitor has entered the market with a disruptive product, service or distribution strategy. And that competitor is on its way to obsoleting your company. You should always look for ways to obsolete your company yourself before someone else does. If you do it before the competition then you will still be in business instead of just talking about the good old days. Think about how Netflix obsoleted Blockbuster Video. and how Apple’s iPod obsoleted the other pile of MP3 players on the market. The auto industry dealer network may be living through the early stages of being obsoleted right now. I’m sorry to say that all those plaid jacketed car salesmen will probably not be around in a few years. Maybe they can go keep the travel agents and bank tellers company. LESSON 3: Customers really do come first. A good early warning is when your customer numbers start to drop. When your customers stop coming back you need to figure out where they are going and how to get them back. Keep an eye on your customer numbers what ever that metric is for your company. Fixing your customer numbers is no black science. Just talk to your customers and take the time to really listen to what they are saying. You don’t need to go very far to see a great example of this rule being broken. According to QuantCast over the last year the number of active users for Zynga’s games has dropped from around 1.6 Million to around 860,000. A 46% drop! What do you think Zynga should do? Maybe listening to their customers would be a good start. LESSON 4: Last decade’s (or last year’s) management team is probably not the right team for this decade (or year). Markets change. Products change. Technology changes. And… Companies must change and grow to survive. An unfortunate fact of life is that the management team that got you to where you are may not be the one to get you to where you want to go. The Sears management team that guided the company through its most successful period would probably be lost in today’s multi-channel highly-competitive retail environment. The same goes for a startup company. That awesome team that brought the first product to market is probably not the right team to take the company from ten employees to five hundred warm bodies. Be a part of that management change. Don’t resists it or your company may disappear overnight. LESSON 5: Always be hungry. Never stop thinking like a startup. 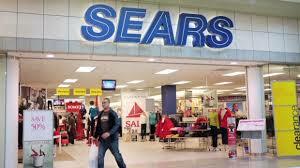 What would Sears look like today if they had not lost the “startup” spirit? What if they had not forgot that hunger for success that their founders most certainly had? If you ever find yourself sitting in your office looking out at all you command and thinking “I have arrived”… You should call down for some empty boxes because that is the beginning of the end. If you look closely at most any of the fallen company giants, at the core you will find a management team that lost its hunger. Work became a 9 to 5 thing you showed up for instead of the reason to live. Those fallen giants forgot what made them great. What set them apart and what got them to the top of the mountain. That first mountain is just a place to look around and find the next mountain to climb.